WINDWAKER - Announce New EP "Empire", Drop Hilarious Clip for "The Sitch"
The Australian Heavy Music scene has been seeing the hashtag #TheSitch around on their social media for the past few weeks - then, on January 22nd, Windwaker revealed that it was indeed them who was behind the hashtag and mystery image! In what seemed like it was simply to be a new single entitled The Sitch, today the band are announcing that not only is The Sitch their brand new single, but it is the first cut from their brand new EP 'Empire', to be released into the world on Friday March 22! The Sitch is available for streaming and purchase now and new EP Empire is available for Pre-Order now, all at https://windwaker.lnk.to/thesitch. Not ones to be lazy, they are also dropping a hilarious filmclip for The Sitch filled with hijinks. Produced by Brightside Film by Director/DOP/Editor Ben Anderson and DOP/Editor Cale Rodriguez, the clip shows the band riding around in a top-down Volkswagen Golf, drinking tins of Melbourne Bitter, evading the constabulary, to get to a house show that their Bizarro selves are playing, only to face them down and have the Police arrest their doppelgangers. This brand new EP 'Empire' was written and produced by Windwaker. The Engineering, Mix and Master was handled by Chris Lalic (Windwaker’s Drummer) and Additional Engineering was taken care of by Liam Guinane (Windwaker’s Guitarist) and Declan White. Will King, vocalist for Windwaker, said that "Coming out of our last record, a record deeply rooted in post-adolescent feelings of pain and loneliness, as a band, it’s safe to say that we all had this strong desire to redeem ourselves of those sole qualities. I think we have always feared trapping ourselves in a box, kept in by 1-dimensional expectations, and we are very conscious of not allowing that influence to hinder our creativity. We are absolutely not a band who is going to sit around all day writing the same songs over and over again. It’s just not going to happen." Painting more of the picture about what this song entails, King elaborates that "‘The Sitch’ is the first cut from Windwaker that truly paints who we are in wide spectrum. It’s nearly oxymoronic in its expression – with its lyrical content both dark and depressing, but every part of you just wants to fight that feeling when you listen to it. I really think this song is going to help people. It’s aggressively uplifting." Windwaker are an Australian Metalcore band from Melbourne, VIC. 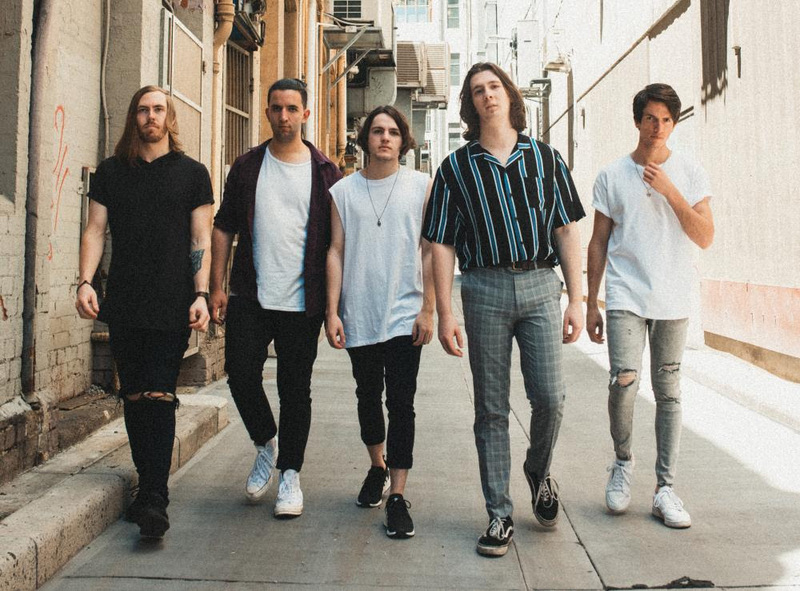 The act, consisting of vocalist Will King, guitarist Liam Guinane, guitarist Jesse Crofts, bassist Indey Salvestro and drummer Chris Lalic, formed in Wagga Wagga, NSW. With a mutual passion for music, the group packed bags and moved interstate, later to drop their debut EP 'Fade' in May 2017 and their breakout single 'New Infinite' in 2018. Windwaker have managed to play alongside a unique range of artists – international artists Haken (UK), The Algorithm (FRA), Slaves (USA) and Miss Fortune (USA) and Aussie bands In Hearts Wake, Voyager, Pridelands, The Gloom in The Corner, Far Away Stables, 23/19 and scored a coveted spot at the 2018 Bigsound Festival showcases alongside bands like The Beautiful Monument, Gravemind, The Comfort, Slowly Slowly and more. The Sitch is available for streaming and purchase now and new EP Empire (out Friday March 22) is available for Pre-Order now at https://windwaker.lnk.to/thesitch.